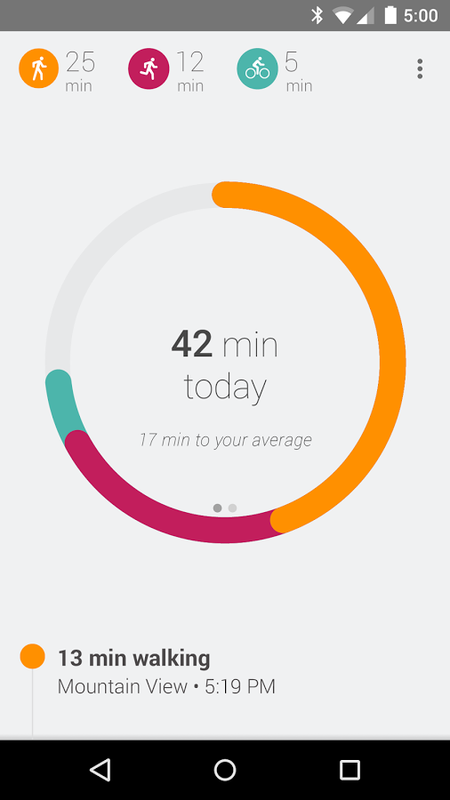 Google Fit app for Android phones and tablets launched. Make a healthy change in your life by becoming more active, aware and motivated. Google Fit app compatible with all Android Wear devices, requires Android 4.0 and up. + Just carry your phone and get access to your walking, running and cycling activity. + Set goals based on either duration or steps and see your progress throughout the day. + Receive performance-based recommendations for activity goals. + Connect third party devices and apps to Fit and we’ll show you all of your fitness data in one place.